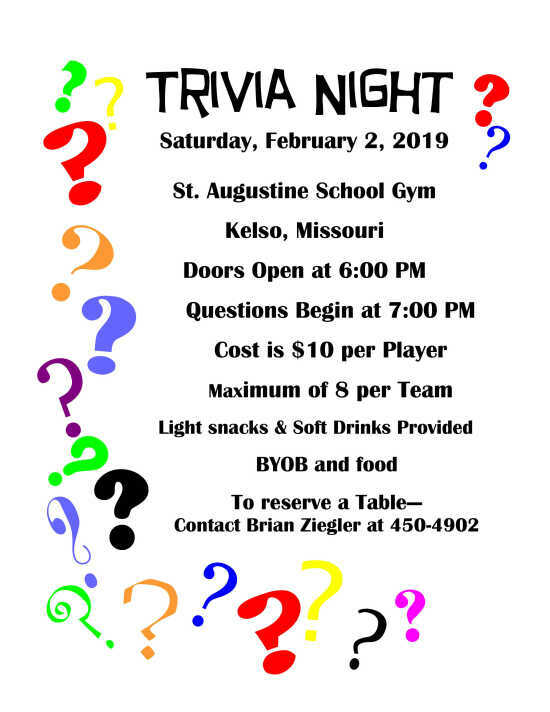 St. Augustine Home and School's Trivia Night will be held on Saturday, February 2, 2019 in the School Gym in Kelso, MO. Doors open at 6 p.m. with questions beginning at 7 p.m. Cost is $10 per player. Maximum of 8 per team. Light snacks & soft drinks provided. BYOB and food. To reserve a table, contact Brian Ziegler, 450-4902.